You know, as corny as this will sound, I think that this challenge has renewed my zest in life. Happy to have met you along the way. Your letters have been beautiful. Loved all your posts. Will have to come back again and again to savour the flavours and absorb the lessons at leisure and in greater depth. Nice quotes!! And we are ending the challenge with the same word.I have also chosen Zest as the last emotion yet to publish the post. Loved the doodle. ❤ Congratulations on completing the challenge and wishing you a happy weekend. 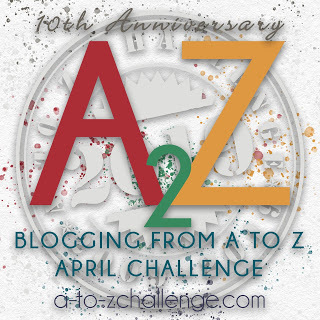 Glad to have found you as blogger friend during this #AtoZChallenge. C’est le dernier ! C’était bien sympa. Congratulations! You made it! Great post. I concluded my last year’s series with zest for life, so can relate. Lovely quotes!! Congratulations on completing the challenge!